Volvos have always had a distinctive look about them. Volvos have also always had a distinctive colour, you know the one, that blue, the blue that you’d describe to your mates as “that Volvo blue”. You know the one? Good. 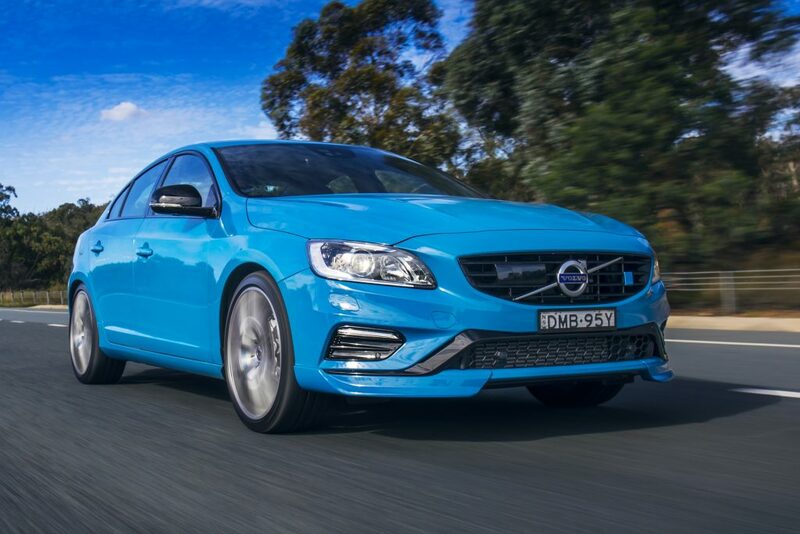 Anyway, it was with great excitement that we picked up a Volvo S60 Polestar from the great folk at Volvo Australia to get the Dads Stuff perspective on the Swedish powerhouse. It was also with great excitement that we saw that our car was blue, you know, Volvo blue. It was with equal excitement that we saw just how mean the S60 looked, a beast of car, looking every bit the race car it’s been across the world over many years. Then you turn the engine on and get the sweet sweet sound of the two litre Four-Cylinder supercharged and turbocharged Petrol engine. 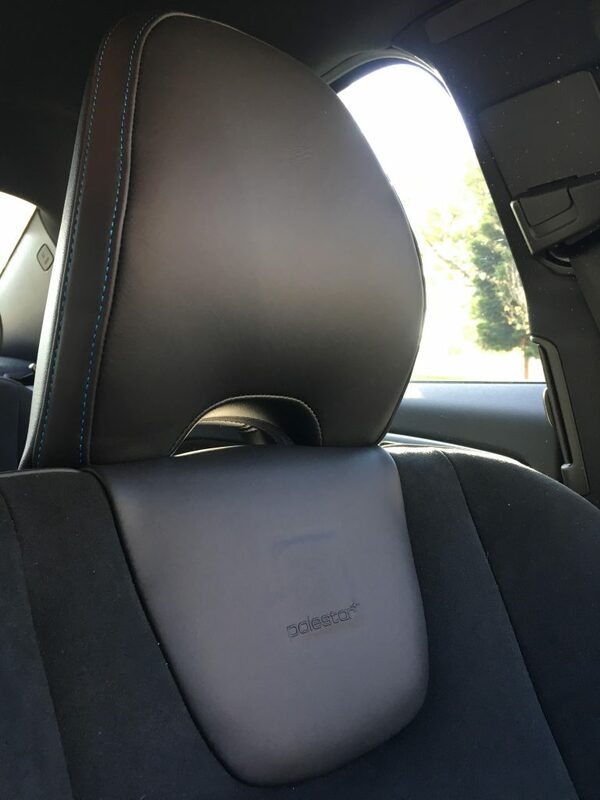 Get it in gear and away you go, all whilst leaning back on an extremely comfortable seat and quite possibly the most comfortable head rests we have ever experienced. It sounds silly, but this can be a deal break on a seat if you are doing a long journey. Not only was this one comfortable, it was also at a very handy height for our passenger, who sits just under five foot two. 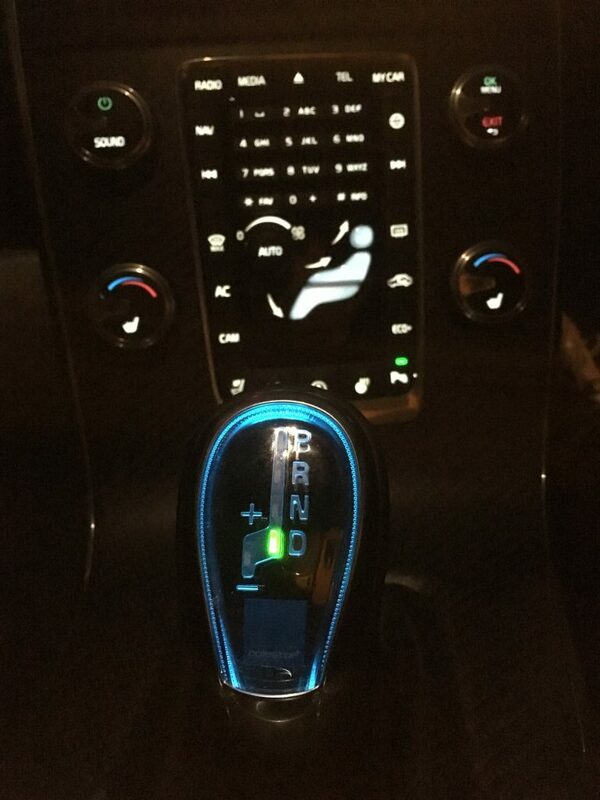 The gear stick is also worth a mention (in a way only us here at Dads Stuff would mention it) with its clear Perspex top and blue light shining through, it made for a futuristic and very eye catching design and one that certainly caught the eye of our four and a half year old passenger in the back seat. 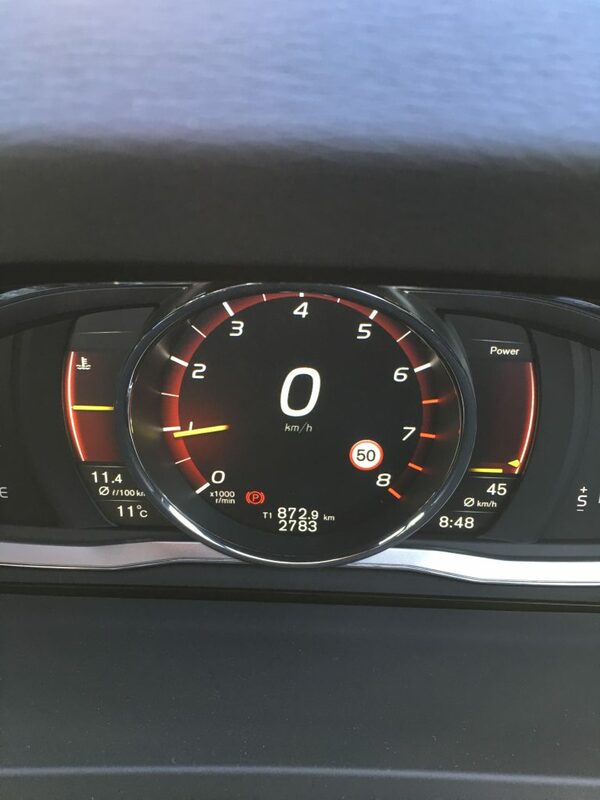 We tested the Volvo S60 in the middle of the Sydney winter… which before you harp on is of course nowhere near as cold as wherever you read this from. HOWEVER, we did take it on a mini road trip to the Southern Highlands to make it really feel at home in single digit weather and biting winds. On the freeway the drive was smooth and very easy going, the sat nav was easy to use and follow and those aforementioned head rests made for a lovely spot for our passenger to nap on the way home! The heated seats, as you will know from out other reviews were of course a welcome feature, but after being outside for an hour at the Bradman Cricket Oval in Bowral, our hands thought it was Christmas when we flicked on the heated steering wheel and warmed our digits up to toasty levels before we were even back on the freeway. Setting off on our journey home we gave the windscreen a quick spray to get it nice and clean for the drive, it was only then we noticed a little extra spraying action down by the headlights… that’s right, when you clean the windscreen, it also sprays the lights to keep them bright and clear for the journey ahead… genius! Incidently, our trip to the Southern Highlands was sensational, we went to a Pie Festival that also had craft beer and mulled cider… how good is that? We’ll write more about the other things you can do in the Southern Highlands at a later date, but let’s just say, the pies we had were out of this world! A small feature but something that we certainly liked, and made switching modes more obvious. The audio was excellent, thanks once again to the great technology produced by Harman Kardon. If you haven’t read our reviews of some of their gear then you should definitely click here or here to find out more about their audio options for your home. 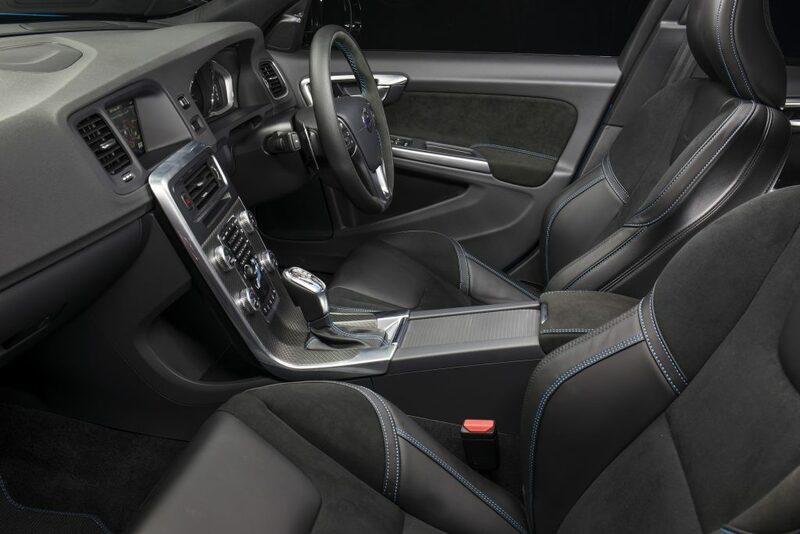 The boot space is never going to be massive in a sedan, but in the Volvo it’s definitely something worth looking at if you are considering buying the S60. 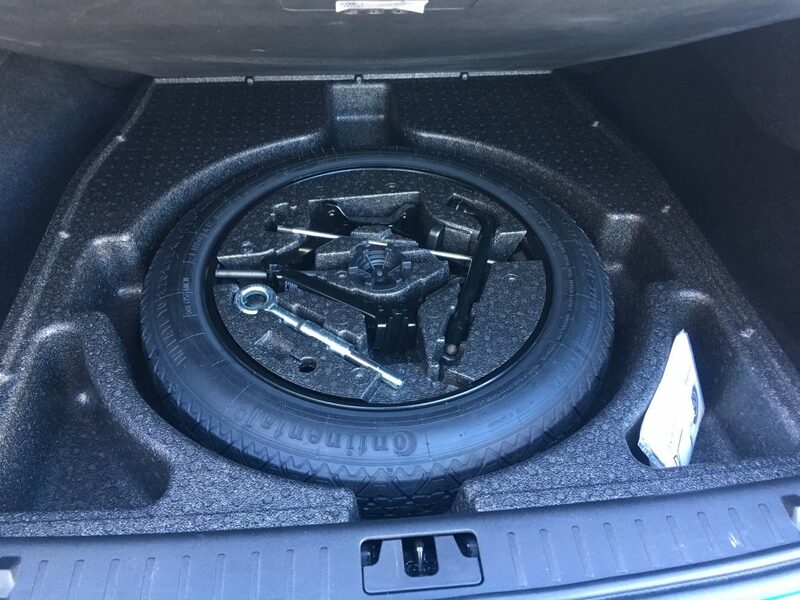 Due to the spare wheel sitting quite high in that area, it does restrict the space somewhat, taking away some of that valuable space for the pram, shopping, scooters, footballs, swimming kit, bucket and spade, lunches, cricket pads, spare clothes (and the list goes on and on and on…). I know you’ve been waiting for the quirky feature that caught our eye, well we’re not people who like to disappoint so here it is. 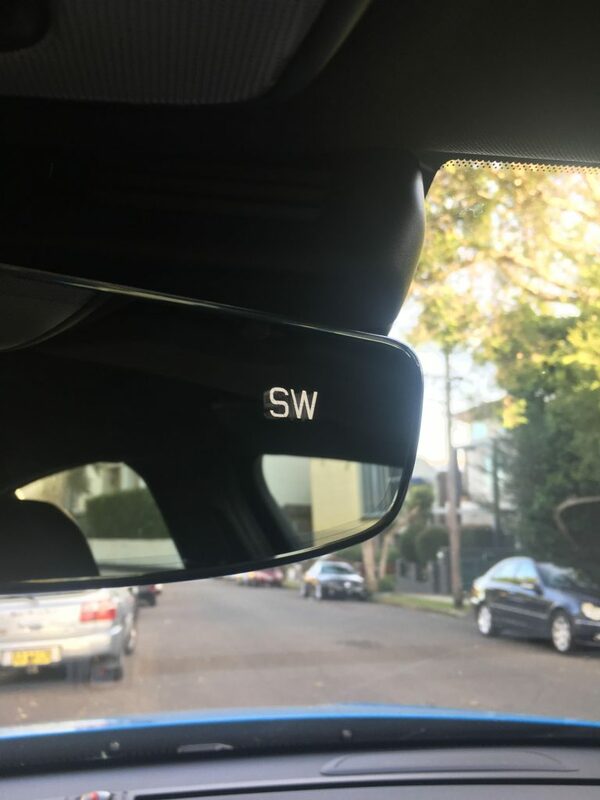 Driving along in the Volvo we couldn’t help but noticed some letters appearing on the rear view mirror. No the car wasn’t grading our driving skills (although I would have been interested in the mark I got), it was actually telling us the direction we were heading. Please note, the photo below shows the abbreviation for SOUTH WEST and not SO WOEFUL! 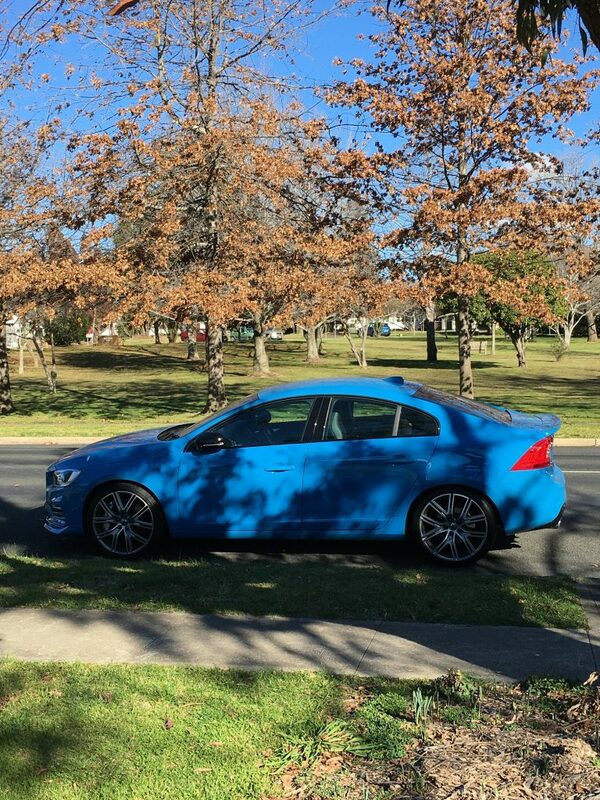 There’s no doubting the Volvo S60 Polestar is a seriously nice car. We loved it. It’s such a solid car, its safety features are outstanding and you feel safe and stuck to the road when you travel in it. It’s got that perfect feeling of security you need when you first have children, if you know what I mean? The model we had you could buy for a touch over ninety grand. 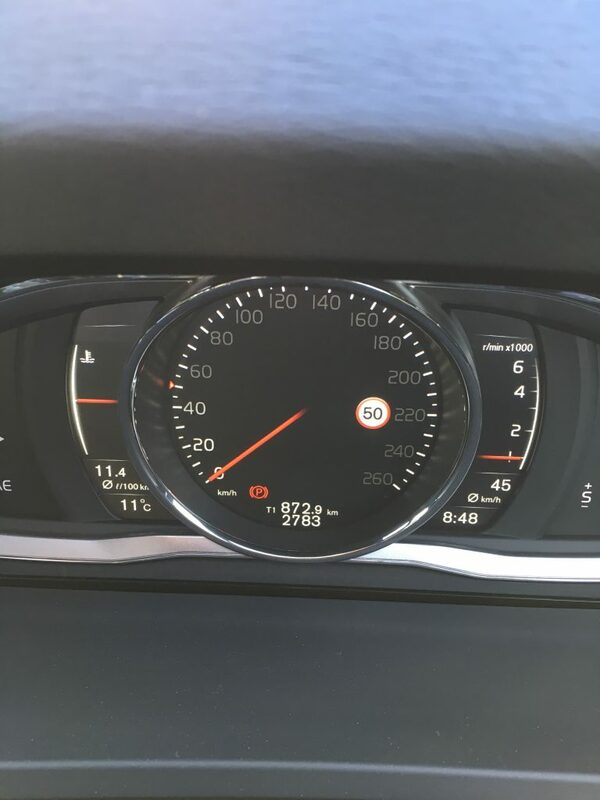 That may seem like a lot of money, but the amount of technology and safety features that are packed into the car are impressive, there’s too many to list, but if you are interested in learning more about the car, make sure you hit this link right here. 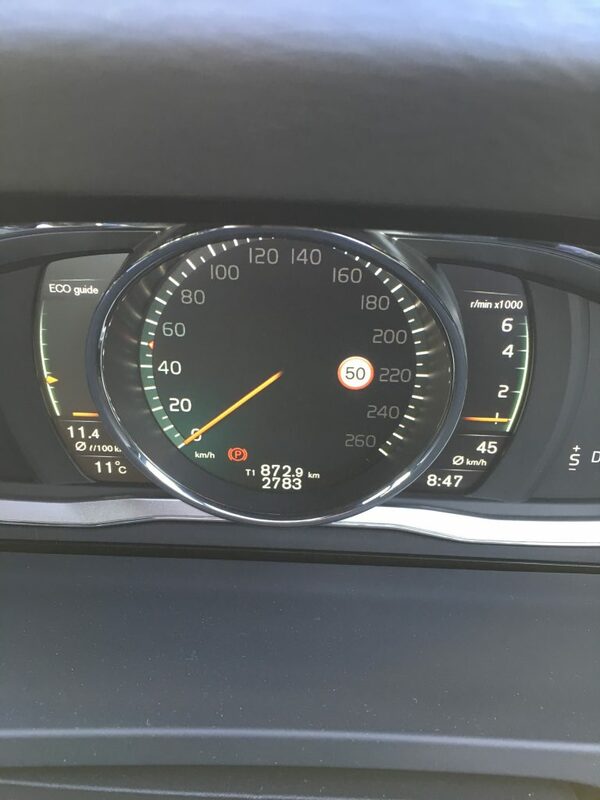 Let’s not forget too, that if you don’t want all the extra bells and whistles, the S60 range starts at just under $50 thousand, which gives you a much more affordable option. Oh and by the way, the Volvo blue is actually called Cyan Racing Blue.